It could go down as the largest heist that a single lowly bank teller ever thwarted in history. Not only did the window teller's own bank's system and higher ups at HSBC Holdings PLC fail to detect a fraudulent transfer of a half-billion dollars, but it initially appeared perfectly legitimate as even "the central bank’s Swift message code indicated—inaccurately—that the money was for intrabank business with HSBC" according to an electrifying Wall Street Journal investigation of the scheme that reads like a Hollywood thriller. 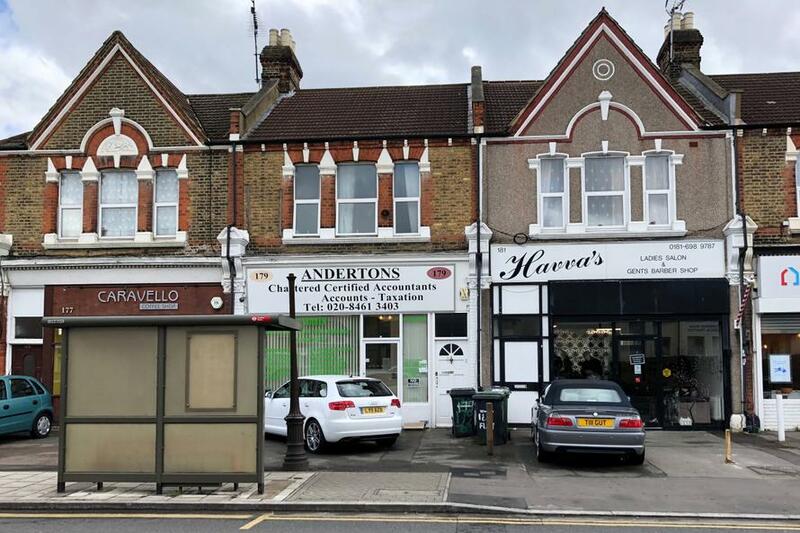 In September of 2017 an accountant walked into a suburban London branch of HSBC and requested a $2 million transfer from his account to Japan. When the teller pulled up the account and saw a balance of $500 million, she thought something seemed off, and told the man she wasn't able to make the transfer. Upon notifying her superiors, HSBC soon learned that three weeks prior officials at the central bank of Angola had transferred $500 million of the African nation's reserves to a small London accounting company run out of a tiny office wedged between a cafe and barber shop in a rough London neighborhood. This would mark the beginning of authorities in the UK, Europe, and Angola unraveling a complex scheme that spanned continents, involved a strange cast of characters, and uncovered a lengthy paper trail of forged bank documents and embroiled Angola's former president in scandal. The Wall Street Journal aptly described it as involving an “Ocean’s Eleven”-style cast of characters in a stunning and engaging deep dive report this week over just how it all went down. Authorities in Angola now allege the $500 million transfer was illegal, part of a convoluted plot to defraud the southern African country in the final weeks of President José Eduardo dos Santos’s 38-year rule. If Angolan prosecutors are right, the HSBC teller had helped thwart one of the biggest attempted bank heists ever. The plot involved a group individuals surrounding former President José Eduardo dos Santos, who at the very end of his 38 years as ruler of Angola may have had a role in defrauding the country's national reserves. President dos Santos' son, formerly governor of the central bank, has been confirmed as part of the conspiracy which sought to siphon massive fees and cash from the national bank under the guise of setting up a $35 billion investment fund. Though the HSBC handed over the bulk of the half-billion dollars back to Angola, four men alleged to be part of the conspiracy are being sued for a remaining €25 million the central bank paid to set up the multibillion-dollar fund, including a Brazilian based in Tokyo and a Dutch agricultural engineer, as well as the London-based accountant that attempted to access the swindled funds. 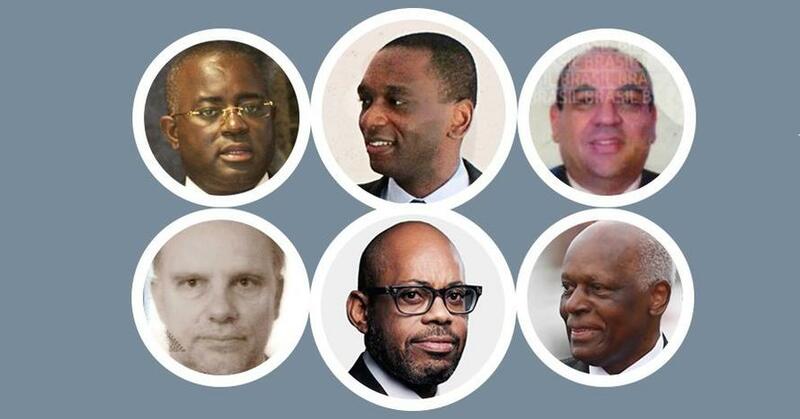 WSJ: Angola’s finance minister, Archer Mangueira (center bottom row), started an investigation. José Filomeno dos Santos, the son of Angola’s former president (center top row), faces criminal charges. Angola’s lawyers say the country may have fallen victim to a decades-old type of get-rich-quick scheme, typically used to defraud individuals or companies, not sovereign states. Investors are told they can make huge returns through a private market in “bank guarantees.” There is no such market, and the U.S. Treasury Department and Securities and Exchange Commission have warned that such offers are always fraudulent. The scheme began when "a letter marked 'confidential' arrived at Angola’s finance ministry for then-President dos Santos, 76 years old, who was preparing to step down after elections that August. Angola was reeling from double-digit inflation, and its currency had plunged since the 2014 oil bust." Angolan officials received the letter as authentic and failed to properly vet the source: "The letter, bearing a BNP Paribas SA logo and the signature of the French bank’s chairman, made a compelling proposal. BNP Paribas and other European banks would help Angola create a $35 billion fund, refinance debt and get hard currencies for imports." Except that the letter, logo, and signature were all completely fake, as after an investigation exposed the origins of the scheme BNP Paribas stated they were all forged. But it appears that once Angolan officials agreed to hear a face-to-face pitch, they were lured further into the proposed investment fund to "help diversify Angola's economy" which would be managed by a a “qualified trust company” in London. In a seaside hotel, Mr. Onderwater, the Dutch engineer, and Mr. Pontes presented slides for a new fund to help diversify Angola’s economy, to be managed by , according to excerpts from the presentation in U.K. court documents. A slide listed banks said to be supporting the project, including the European Central Bank. Half a billion dollars of Angola's reserves would then be transferred to a shell company set up by the London accounting office pictured below. Nevertheless, in July of last year, the central-bank governor, Valter Filipe da Silva, signed an agreement with Mr. Pontes to set up the fund. That same month, the central bank started transferring €24.85 million ($28.9 million) from its Commerzbank AG account in Frankfurt to an account of Mr. Pontes at Banco Comercial Português SA in Lisbon, for fees due under the agreement, U.K. court documents show. Mr. Onderwater received €5 million of that money, using some to buy property in Lisbon and rural Devon, England, investigators for the Angolan finance ministry found. Another €2.4 million went to a Tokyo company called Bar Trading, headed by another alleged participant in the plan, 51-year-old Brazilian Samuel Barbosa da Cunha. His role was to act as “trustee” of Angola’s $500 million seed money for the new fund, in charge of obtaining the “bank guarantees” and financial instruments that were supposed to transform the country’s money into $35 billion, according to Mr. Pontes’s testimony and other U.K. court filings. Aside from the colorful cast of characters and how many countries the elaborate fraud scheme spanned, the other most interesting element to the story is how the initial massive $500 million transfer was overlooked in the first place. The central bank’s Swift message code indicated—inaccurately—that the money was for intrabank business with HSBC rather than headed to an HSBC customer, according to bank documents reviewed by the Journal. HSBC noticed the discrepancy later, when it started probing the transfer. Once the $500 million was in Perfectbit’s account, the accountant made Mr. Barbosa and an associate owners of the company. The accountant, Bhishamdayal Dindyal, kept signing power on the HSBC account. In the weeks that followed the fund transfer from Angola's central bank the accountant and his partners in the scheme visited various HSBC branches to attempt to access the cash, which proved unsuccessful according to court records. And that's when: "After the alert teller in the suburban London branch filed a report about the enormous balance, HSBC suspended the account for review." Thus a mere old fashioned face-to-face bank teller exchange at the window of a random suburban HSBC branch ultimately exposed an international conspiracy to defraud an African nation out of half-a-billion dollars.